I just got back from our local meat cutter, where I picked up our half pig! The pig was raised by our favorite food providers, Chandler Pond Farm. This is an amazing diversified farm which produces vegetables, berries, eggs, raw milk & cream, chickens, turkeys, and pork. Their food is top quality. I’ve eaten a lot of their pork, but this is the first time we have bought half a pig. The pigs are spoiled rotten; they eat lots of veggie scraps and other leftover food from the farm. 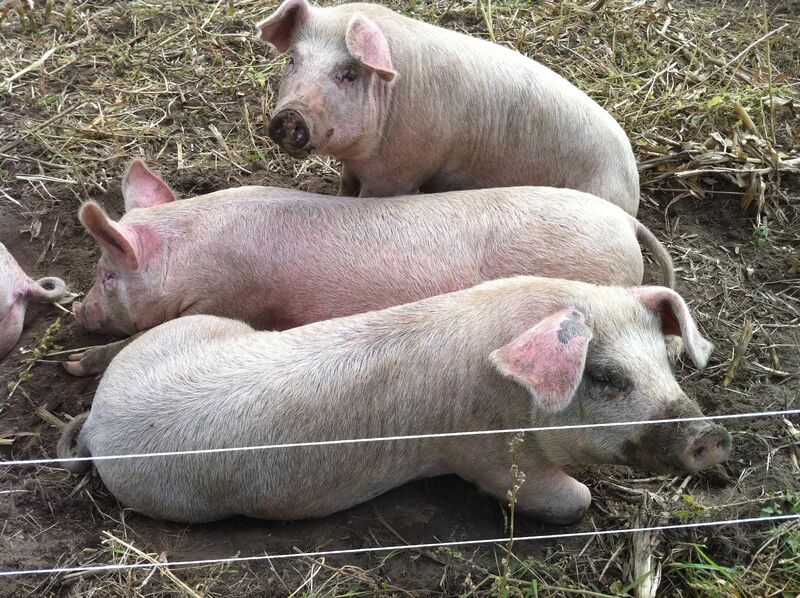 I have visited the farm many times and the pigs always look relaxed and happy. They are friendly and curious, and always come to the fence to greet me. You can’t see it in the pictures, but their field is huge. 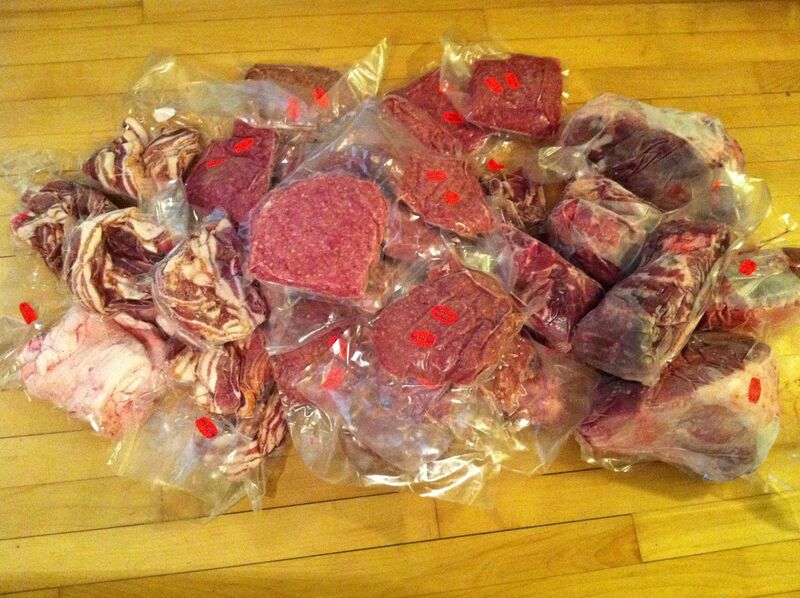 Buying meat in bulk is a very cost-effective way to get high quality food. I got 71 pounds of meat for $247, which works out to $3.45 per pound. 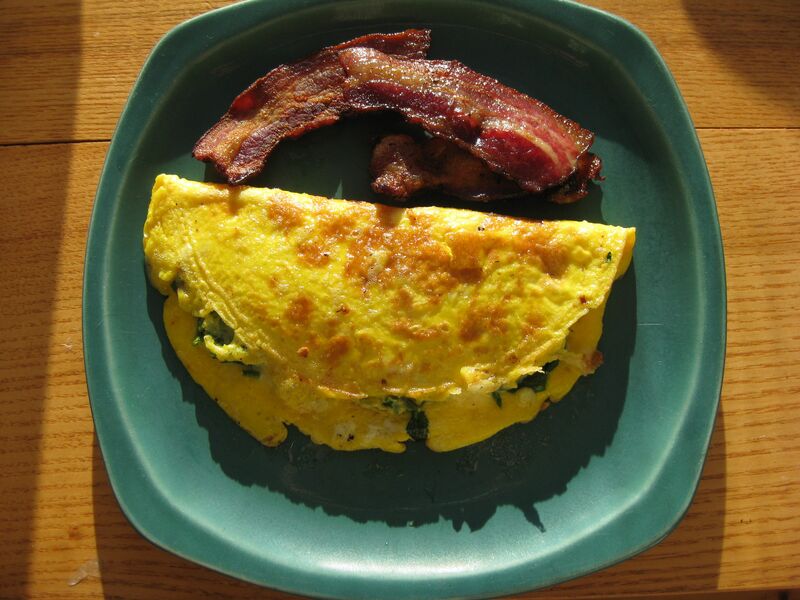 When was the last time you saw pastured bacon for anything close to that price? Another great thing about buying a half animal is that you can order it cut however you like. I don’t like pork chops, and my husband doesn’t like ham, so we didn’t get either of those. We make a lot of Asian food, which is fantastic with ground pork, so we had lots of the meat ground. We also got bacon, sausage, roasts, fat to render into lard, tenderloin, ribs, and a package of “odds & ends”. I avoid eating commercially-raised pork because the conditions in which the pigs are raised are horrifying, the industrial “farms” produce huge amounts of toxic waste, and the pigs are fed crap, so the meat is much less healthy. I used to be a vegetarian for these reasons. Seeking out pastured or grass-fed animals addresses the ethical, environmental, and health-related concerns about meat-eating that I had as a vegetarian. 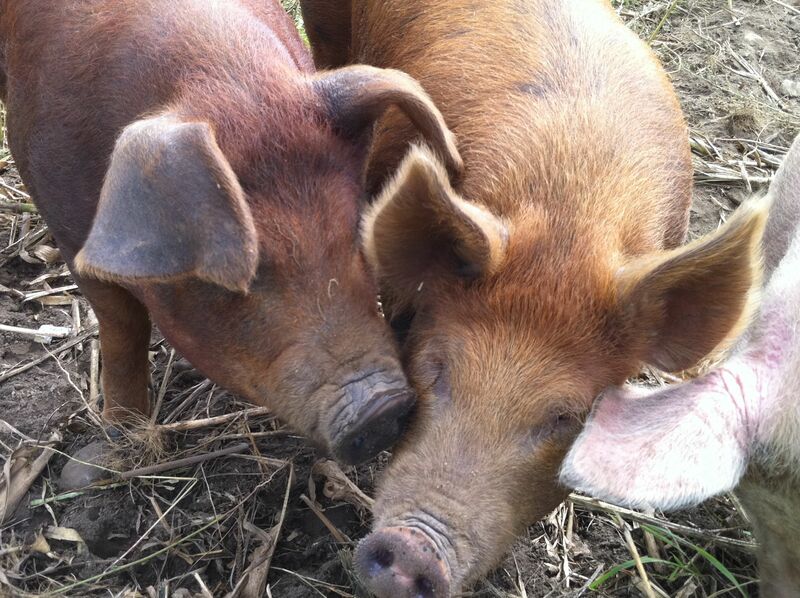 These pigs are happy, they have a negligible environmental impact, and the meat is good for you. Plus it tastes great! Last night the inaugural Northeast Kingdom Localvore potluck dinner was held. Eight of us gathered at the home of Carl, Abby, and baby Donley. We hailed from St. Johnsbury, Newark, West Danville, and Burlington. Even though many of us were meeting for the first time, we found we had much in common and much to talk about. The group shared experiences and exchanged ideas about finding and eating local food. The conversation branched off to cover many other subjects; all in all, it was quite a lively evening! We hope that localvore potlucks will become regular events. If you would like to be on the Northeast Kingdom Localvore mailing list and be notified of future events, email me at nekfood at gmail dot com. Don’t worry about your mailbox being flooded; emails will be few and far between.